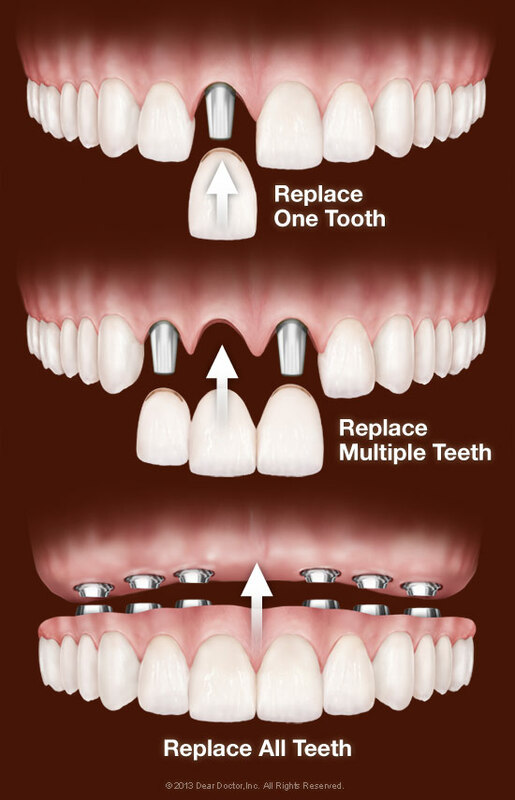 Dental implants are small titanium posts that replace the roots of missing teeth (View Example). They are inserted into your jawbone during a minor surgical procedure that takes place at our St. Petersburg, FL dental office. After the implant has been placed in your jawbone, a completely lifelike porcelain tooth crown is attached. In some cases, the implant needs to fuse with the bone for several months before it is permanently crowned; in other cases, you can have new (but temporary) teeth the same day your implants are placed. 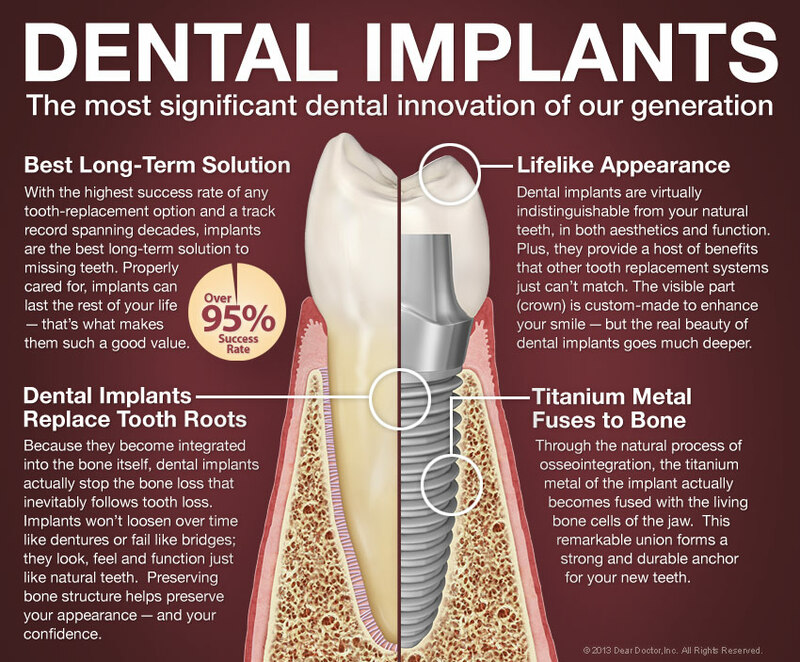 For more information on Dental Implants in the St. Petersburg, FL area by Rosemarie Márquez, DMD, PA call (727) 345-1774!